Build Batman™ and Robin’s Super Hero ally Batgirl™, as seen in THE LEGO® BATMAN MOVIE, in the new-for-March-2017 LEGO BrickHeadz set. Check out her decorated BrickHeadz eyes and yellow Batarang, and display her on her own baseplate. This comes down to 15.10 cent per brick. The Batgirl™ (41586) Lego set is no longer directly available from the sites below. However, 3rd party partners of these sites might still have the set available. 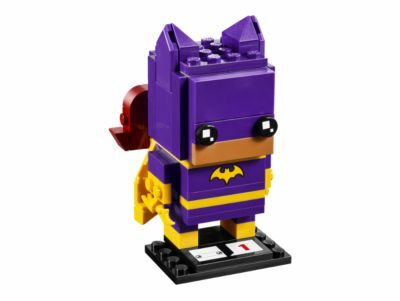 Alternate description Channel Batgirl™ with your own LEGO® BrickHeadz version!